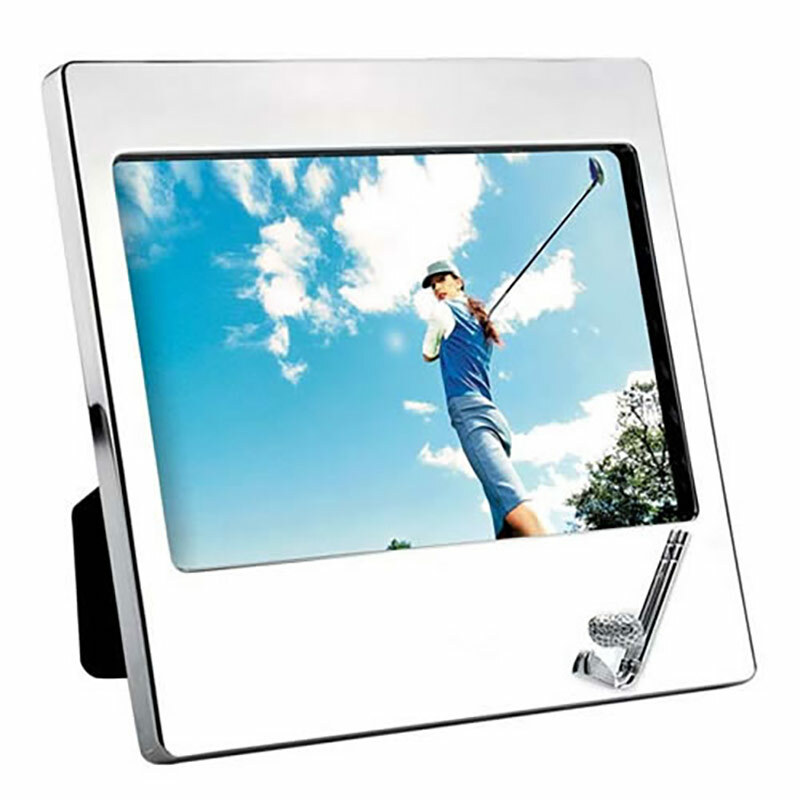 A quality photo frame with fine quality silver plated finish, set in landscape orientation and featuring a golf motif in the lower right hand corner. These golf picture frames hold an image sized 95mm x 145mm (3.75in x 5.7in) and can be wall-hung or freestanding via a strut attached to the back. They can be engraved on the front of the frames, ideal for creating corporate goft gifts or branded merchandise for your golf event.